Scarface is probably your favorite rapper's favorite rapper. Nas has listed "Mr. Scarface is Back" (the Houston emcee's 1991 solo debut) as one of his favorite hip-hop albums; Killer Mike has called Scarface the greatest of all time; and Jay-Z in his book "Decoded" writes he's "maybe the first truly great lyricist to come out of the South ... Scarface always feels like he's rapping right in your ear, like the guy on the next bar stool unburdening himself of a story." 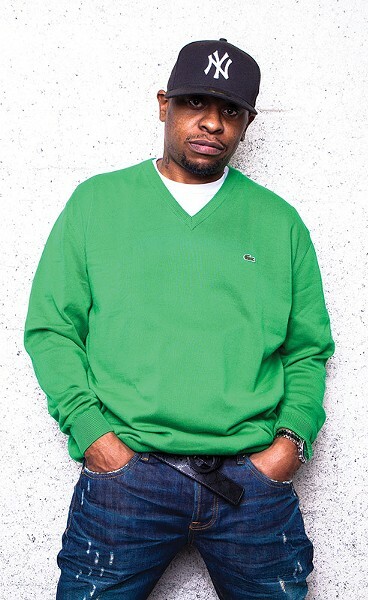 Scarface started as a cornerstone to the Geto Boys, and in the almost 30 years since the group's 1989 "Grip It! On that Other Level," Face has released six group albums and 11 solo albums — several of which are veritable classics — of honest, authentic, often hard, Southern hip-hop. This is a true living legend. Scarface will perform with a full backing band on Sunday, December 3, at the California Brew Haus, 402 West Ridge Road. 6 p.m. $25-$30. tecshows.com; facebook.com/facemobmusic.